Our contributors have not only enabled us to get our first forest planted ,but have helped us reach the mass general public as well as influential niches with key environmental messages about sustainable consumption and sustainable interaction with the environment. There are many and varied examples of the message getting out. Here are just a few. 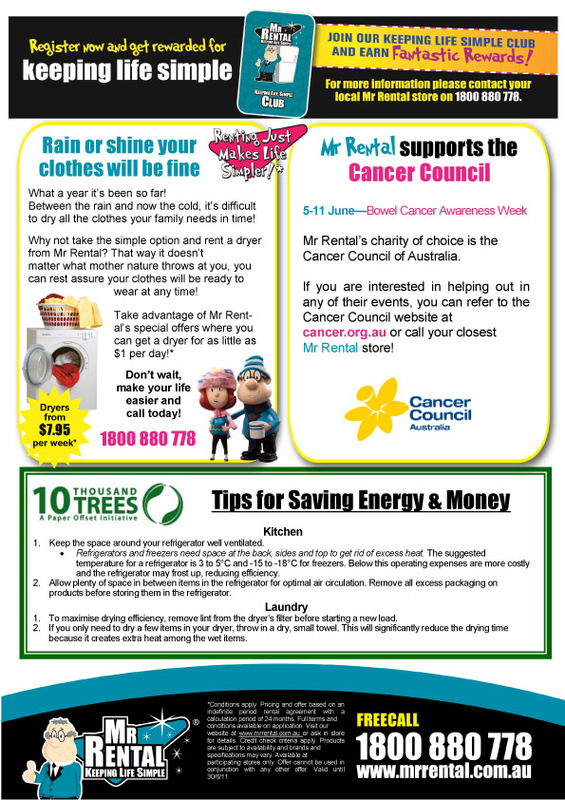 Mr Rental, a company who rents everyday items to everyday Australians and New Zealanders such as washing machines, dryers, TV’s and fridges contributed funds to plant trees to offset paper used in their catalogue run of four million copies. In addition to their contribution Mr Rental dedicated the back half page of the catalogue to ten tips on how to reduce energy consumption. 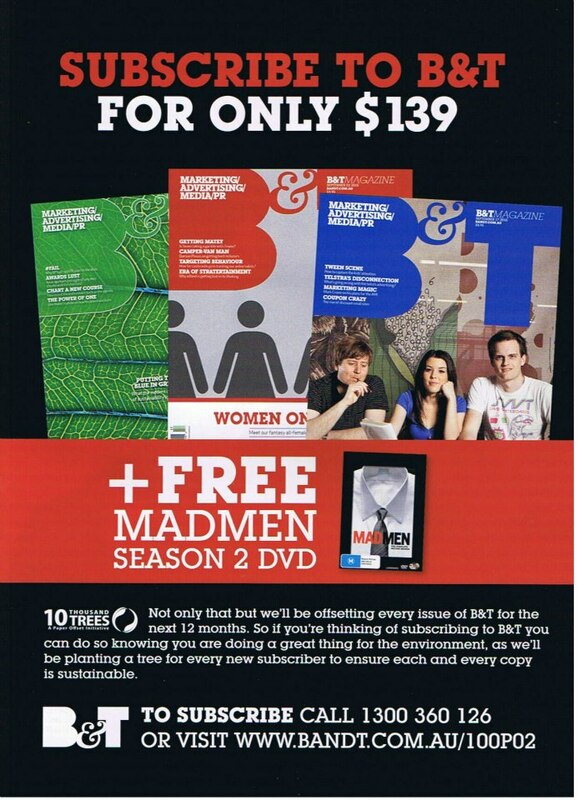 BnT the leading Australian publication for the advertising and communications industry offset the paper in one year’s printing of their magazine. BnT’s audience is a heavily influential niche of advertising and communications professionals who are at the heart of how companies behave and position themselves. In addition to the planting of trees BnT had 6 prominent adverts at the beginning of their monthly magazine promoting environmental awareness and the 10 THOUSAND TREES concept as well as proudly carrying the 10 THOUSAND TREES logo in its notes from the editor. Consumer media from as far wide as Townsville to Perth have covered the concept behind 10 THOUSAND TREES as well as influential trade media in industries like print and packaging that rely on paper such as Print21, ProPrint, and the Australian Institute of Packaging have covered the story and got the sustainability message out there. 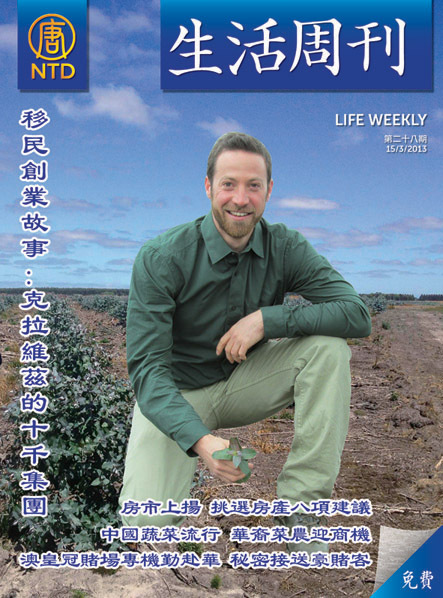 Multi-lingual audiences have even been reached through publications such as the Australian Chinese Lifestyle Magazine NTD Weekly, which carried a cover feature article on the story behind 10 THOUSAND TREES. Leading Independent Printers (such as Inform Print, Stimulus, Sirius, Helios, Rainbow Print, Digital Press, PrintworksOz, and Prografica) have been proponents of sustainable print and have encouraged their clients to think in the same way, with prominent Australian institutions such as Macquarie Bank, Sydney Harbour Foreshore Authority and TAFE NSW contributing funds and carrying the 10 THOUSAND TREES logo and message on their print publications. The message continues to reach the general public, adding weight to encouraging everyday Australians and Industry to interact in a more sustainable, symbiotic manner with our environment.